The 717AH is back and with a slight price drop. [Thanks Larry]. This is a solid and inexpensive mount for the top of your sliders or track dollies that help to reduce vibration during your movements. It's also helpful to be able to change pan and tilt angles. You'll find this head on many DIY projects including Rod's DIY Ladder dolly. 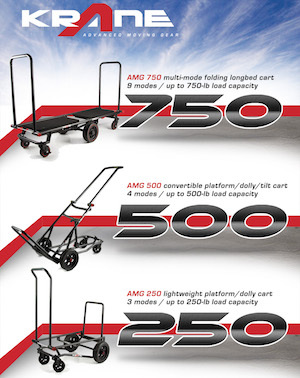 You can find the discounted 717AH following the link (click here). 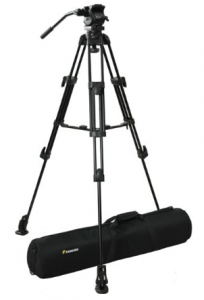 Posted in dslr stabilizer, Equipment Reviews. Tags: 717A, 717a fluid head, 717AH, 717AH fluid, fancier, fluid head, weifeng on August 16, 2011 by Emm. 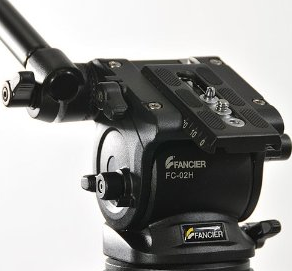 Vimeo member Jonathan Nicol throws up a review on the Fancier FC-02H video fluid head. I guess this is supposed to be a step above the typical 717 heads. There's some samples at the end of his video review, and the samples do look smooth indeed. I couldn't locate this particular model on eBay, but it looks like the FC-02H head could be mounted on different tripods and coming up with different model numbers. There's two different version over on Amazon, and from the image appears to be the FC-02H head (75mm Bowl Mount). Although these heads may provide smooth movements, keep in mind that bowl mounts are not the ones that make it easy for you to remove and use on Sliders. These are best used as just straight up fluid head sticks. 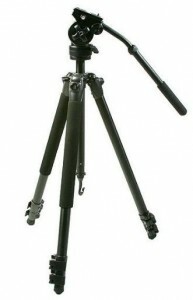 A more expensive version also exists, it appears to be the same head, but possibly a different Tripod. Posted in dslr stabilizer, Tripods. Tags: 717AH, fancier, fancier fc-02h, FC-270, FC-370, FC270, FC370, weifeng on June 5, 2011 by Emm. Last minute, we decided to do a live shoot with different camera angles, and we wanted a shot that was done in one take all the way through. I needed a few more tripods to station cameras around the subject. In a small studio space I don't need to have every single tripod to be an expensive one. I'm finding that many times we set the camera in it's position, start the recording, and forget it. There may be some light rack focusing involved and slow pans, but we're not chasing fast moving athletes. 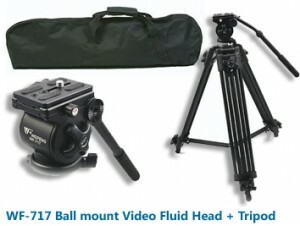 So for the many stationary cameras, I decided to order a few of the FT-717 Tripods + Fluid Head combo kits. It's exactly the same as the WF-717 re-branded. 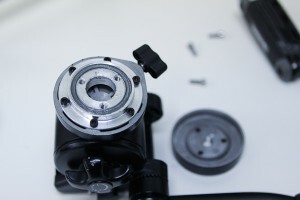 This fluid head is almost the same as the 717AH I use for the DIY Slider, except that it is ball mounts. If you're not familiar with the ball mounts, it's basically a super fast simple way to get that final adjustment into leveling your camera. This is a three stage Tripod that has a very wide rail design common for Video tripods, and also has a center brace for extra sturdiness. Three stages of adjustments means that it can collapse shorter to make traveling easier. I've seen some monopods with 5 stages that allows it to collapse down to less than 16" for traveling and cheaper tripods may only come in 2 stages. 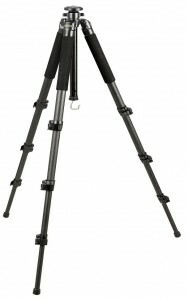 Once the tripod is extended to your liking, leveling the camera is fast with a simple turn of the knob at the ball head. This particular design is also available in plastic if weight is a concern, but I opted for the metal version mainly for durability. I have several different tripods, and one is a beast which can extend to 7ft high. 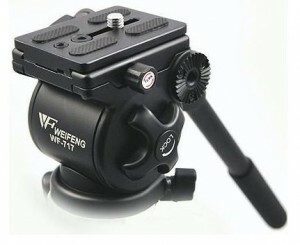 If this WF-717 / FT-717 would be your only tripod, there's some things to keep in mind. Getting the camera to eye level is important for some shots, and because this is a ball mount head, there's no adjustable center neck with this particular tripod. 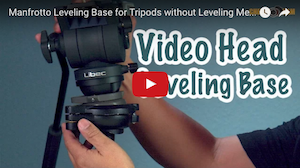 You'll lose about 1 ft compared to the other types of tripods. With the legs fully extended the base of the camera will sit at 53" inches. Bringing the legs close together and 'cheating' a bit, you'll gain maybe 2-3 inches of additional height. This type of tripod is perfect if you're elevated, shooting low shots, if you're at a distance from your subject, or if your subject is seated. Panning horizontally was a bit stiff right out of the box, but performed very smoothly after working them in. I believe it's because there is just random fluid thrown into the head before shipping. Once you've worked it in, it's very very smooth, especially when adding the weight of your camera and lens. A few nice additions too. 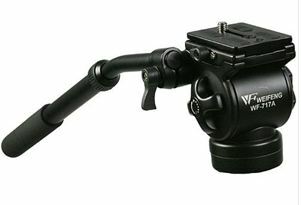 The WF-717 Ball Head + Tripod also has a built in retractable bungee hook used to wrap it up and keep the legs from opening up as you carry it. 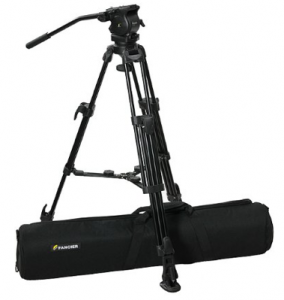 It also ships with a pretty nice travel bag that includes a sling strap for hands-free carry. It's no Eleanor, but I was able to grab three of these for about the price of a single Bogen 504HD Fluid head. Posted in Cheesycam Skater Dolly, Tripods. 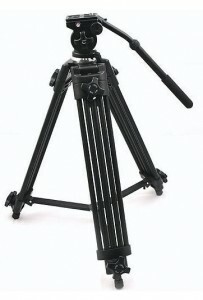 Tags: 3 stage tripod, 717 fluid head, 717AH, bogen 504HD review, video fluid head, wf-717, WF-717 Review, wf717 on November 18, 2010 by Emm. Vimeo member Stanislav submitted this tip on holding a tripod for extra stability. I know this isn't the most advanced thing on this blog, but you'll be surprised how many people will find this useful. Let's not forget our budget film making roots. I've used this method myself a couple of times when in a pinch and any stabilizer is better than nothing. His video says Shoulder Rig, but it's more of a 'Shoulder Support'. Using the same 717AH fluid head, he's taking advantage of the lengthy pan handle as if it were a DSLR shooter. You might think this would be crazy heavy, but looks like he's purchased a set of the FT6826T Carbon Fiber Tripod legs , keeping things light. 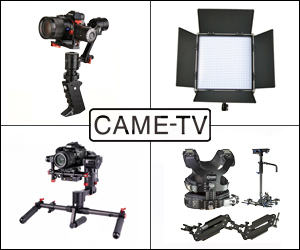 Posted in Cheesycam BodyPod, Cheesycam DIY Stabilizer, DIY Equipment, dslr stabilizer, Equipment Reviews, Photography Gadgets, Videography Gadgets. Tags: 717AH, ebay carbon fiber tripod, FT6826T on September 29, 2010 by Emm. Ok, i'm really excited to talk about this item, it's such a great find for me. I've seen this item many times but couldn't find a single YouTube or Vimeo video review about the 717AH Video Fluid Head (note that the number on the box doesn't always match the number on the fluid head). Other search results on the Internet come back as just product sales information. Am I the only one reviewing this item? Have I truly discovered the next DSLR hidden treasure? LOL. You gotta watch my short video review above as to why this thing rocks. I'm comparing it to 3 different style Monfrotto brands. 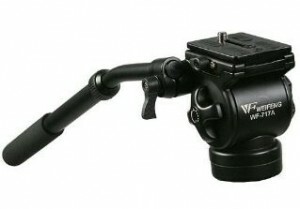 As you know i'm the happy owner of a Monfrotto 701HDV Fluid head (I demo it on the 99 dollar slider video). Don't get me wrong, the 701HDV works totally awesome. But as many of you might know, i've been working on a Skater Dolly type project 'Spider Trax Dolly' and one of the delays have been researching the perfect Camera Head to mount. Since there will be an option to purchase the dolly 'without' a Video Head, I wanted to make sure I found the right options to suggest to people. I've already invested in 4 different fluid heads (not cheap blah!) trying to find the right one for you guys. 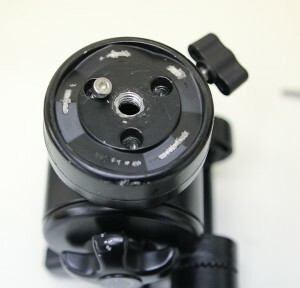 One of the problems I was trying to solve was the 701HDV mount. Everyone out there with a Slider, Skater, or Dolly knows what' i'm talking about! The lower locking knob doesn't clear very well when mounted on flat surfaces. 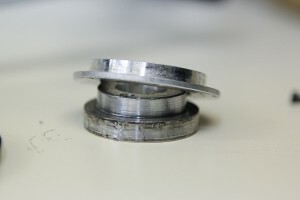 This means you need to DIY some type of spacer. A simple spacer doesn't always work well either. The fluid head is quite firm so you need to drill out some locking screws to make sure it doesn't come loose. Sure I love the 701HDV, but it has problems mounting to anything other than an actual video tripod. Here's where I struck Gold. When i'm just about fed up with Fluid heads, and figured I'll have to come up with a special adapter for the Spider Trax dolly project, I run into this little Gem. I've seen this online before, but was hesitant about the build for a brand I wasn't familiar with. It was pretty much my last resort in trying to find the best Fluid Head to suggest for the dolly project. It's available from a US seller which means super fast shipping - (no four week waiting period). Even better, It's half the price of a Monfrotto 701HDV and as far as i'm concerned it's twice the build quality. This thing is compact (same size as 701HDV), but it's beefy! It's designed with lots of metal, the fluid head is smooth, has incredibly strong locks to support lots of weight, and comes with a very very nice adjustable (very long) Video handle for extra leverage. In fact you can mount two handles for smoother panning shots. With the adjusted length, this handle actually is perfect for the Spider Trax Dolly use too! It performs same if not better than fluid heads more than three times it's price. Why isn't anyone else talking about it? I feel like i'm breaking new ground here much like when I started blogging about those 126 LED Video lights. 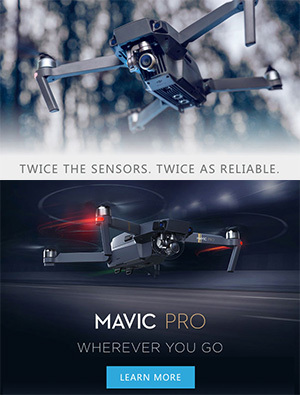 I'm not sure, but I was sooo happy with the first one, I purchased a second one so I don't have to keep remounting my head onto different sliders, tripods, and dollies. The cheapest i've found the 717AH fluid head was on eBay by this seller, while others sell this upwards to $100 dollars. Click here to visit the USA seller that I received mine from. .
Update: Just contacted the company to see if they can supply me with alot more for the Dolly project. They mentioned there's a limited amount in stock until the next shipment. This will be the official Fluid head that will be packaged as an option with the Spider Trax Dolly, so if you're shopping for an awesome quality Video Fluid head, now might be the time to grab one . Oh and i'm still a Monfrotto fan, in fact I love love love my Carbon Fiber 190 CX3 sticks from Monfrotto. Great quality build for the price. Remember, the numbers on the Head don't match the box - weird. Click image to find 717AH Video Fluid Head . Posted in Cheesycam Skater Dolly, DIY Equipment, Equipment Reviews, Photography Gadgets, Random, Videography Gadgets. Tags: 717a fluid head, 717AH, ebay fluid head, ebayfluid head, Weifeng Fluid Head, weifeng video on June 24, 2010 by Emm.